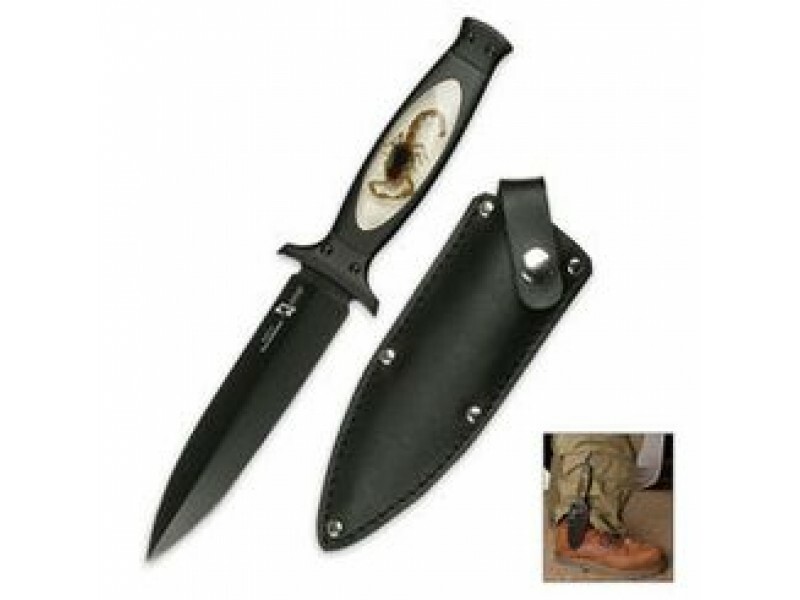 Buy Scorpion Boot Knife with leather sheath , from Budk - RBC VISA for $17.99 only in My e-commerce. This new design from Tom Anderson for Master Cutlery is one of the coolest boot knives you will find - it features a real scorpion in the handle! 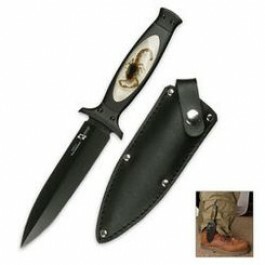 This boot knife measures 9" overall and is all black with a 440 stainless steel double edge blade. The black aluminum handle has a see-through Lucite insert that has a real scorpion embedded in it. Includes a black leather sheath with a snap closure and a pocket clip. 4 3/4" blade.